Lancaster — The Lancaster JetHawks have named former Lancaster City Manager Mark Bozigian a Special Advisor for the Minor League ball club. For the past 11 years as City Manager, Bozigian worked with the City Council and staff on many projects and initiatives that improved the city of Lancaster. Having recently stepped away from the city’s top staff leadership position, the Antelope Valley native will remain involved in the community, including his new role with the JetHawks. 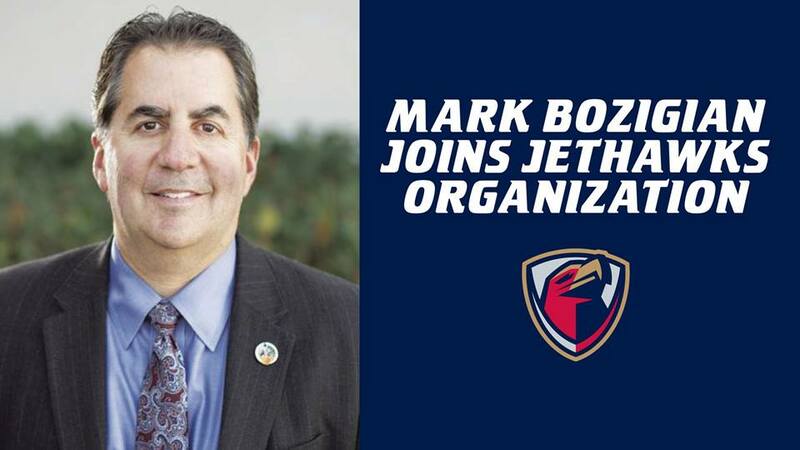 In his new role with the JetHawks, Bozigian will assist the ownership group and front office staff in many facets including growing its presence within the community as well as assisting with the overall direction of the franchise; as the team embarks on its 24th season in Lancaster. The Lancaster JetHawks start their 2019 campaign at home on Thursday, April 4 against the Modesto Nuts. Group tickets and ticket packages are available now at JetHawks.com or by stopping by the JetHawks offices located at 45116 Valley Central Way in Lancaster.